Launched in Summer of 2007, Chabad is your address for everything Jewish. From students to retirees, young professionals to moms, dads and kids, there is something for everyone here. Join us for our exciting holiday programs, an enriching class, or a reinvigorating Shabbat meal. We are here to serve you, and with so many opportunities available just around the corner, all you need to do is show up. Join our email list to be kept abreast of all that's happening. Chabad Jewish Center, is founded on the principle that, while people embrace many levels of observance in their personal lives, there should be a place for no labels, and all affiliations. A place where people can develop a sense of community and enhance their own spiritual experiences of Judaism. 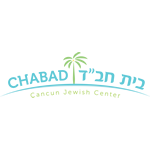 Chabad Jewish Center has successfully catered to thousands of people from all backgrounds, offering educational programming in an accepting and innovative setting where all feel welcome. The goal is to create a positive Jewish experience for everyone as they strengthen their ties to Jewish life and continuity. Chabad Jewish Center is a place where everyone is welcome - regardless of affiliation or level of knowledge. Our sole purpose is to create a warm welcoming environment to explore and experience our heritage and Judaism's warm and relevant spiritual inspirations in a non-judgmental and inviting atmosphere.